Its scarf season, its dark lipsticks season… can you tell how excited I am?!?! hahaha. I don’t know if I mentioned this before but I am a nail polish junkie!!! like seriously!!! I loooove nail polishes!! So I wanted to share my favorite ones for this season!! Hola mis amores!!! Asi que… el Otoño ya esta aquí!!! Estoy super emocionada porque esta es mi temporada favorita del año!! Es temporada de los Pumpkin Lattes , es temporada de las bufandas, temporada de los labiales oscuros… pueden notar lo emocionada que estoy?!?! jajaja. No se si he mencionado esto anteriormente pero soy una adicta a los esmaltes de las uñas, enserio!! Amoooo los esmaltes!!! Asi que pensé en compartir mis favoritos para esta temporada! Algunos son colores son viejos pero muy buenos y otros son nuevos. Recientemente empece a usar los de la marca Zoya y Dios mío! porque no los había descubierto antes?? Ahora estoy obsesionada con ellos! Hello fellow nail polish junkie, nice to meet you. I love nail polish and this is probably the only beauty product I can honestly say I collect. I try every brand at least ones. : ) I have been loving a few of the Marc Jacobs colors, but after I bought Gatsby I was a little disappointed with how quickly the polish chipped. Have you had the same experience with his other colors? Maybe it was the glitter? I love the second Zoya color from the left, beautiful color. Thank you for sharing! 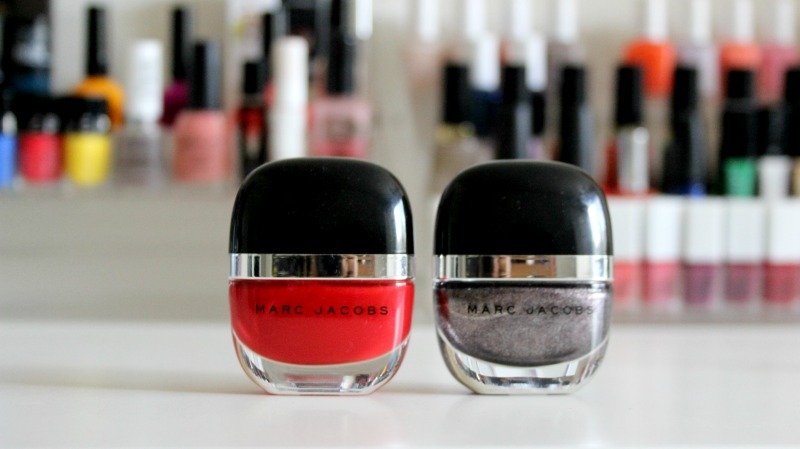 You will like my last week's Friday post where I share my five favorite nail polish colors. Hope you find some you like as well. I love that dark purple Essie color! I love that hot coco color by essie!! 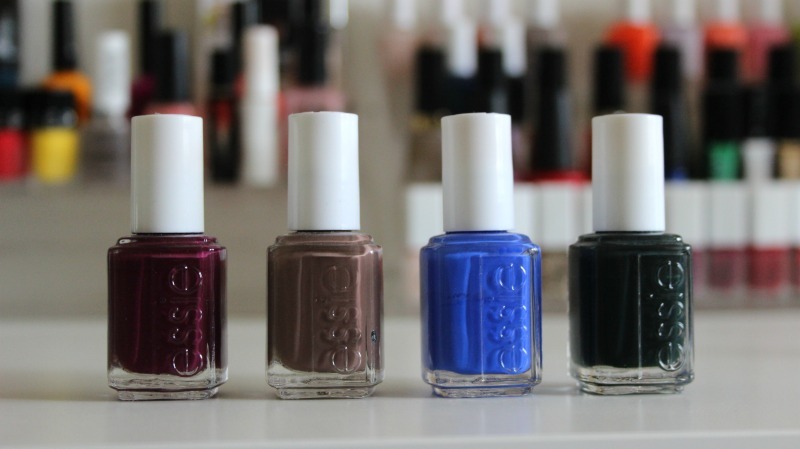 Oh I love the true blue Essie one! I've been looking for the perfect blue and this looks perfect. Thanks for the round up of nail polishes. They are all incredible. Ohh yes! That blue is amazing, Its been my favorite for the past 2 or 3 months now lol, even though it has a matte finish I usually use a gel top coat and it looks perfect! I'm so glad you liked the post!! Thank you, Rebecca! xo. I love using nail polishes too, the more colors the better! I am excited for Fall but will be more excited once it gets cooler where I live! Thanks for filling me in! I rarely wear nail polish anymore because it lasts about an hour with all the house work and kid-related stuff I do. BUT that last OPI color got me excited. I think I'm going to have to get a mani soon 🙂 Thanks for the suggestions. PS- I love your giant collection of nail polishes in the back of your pictures.